Despite any cultural differences, many Greek armors shared a few commonalities that made them all quite effective. 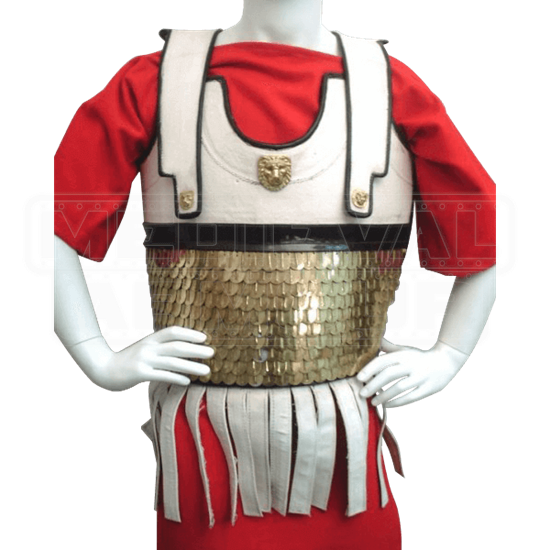 Those commonalities can be seen here in the Greek Hoplite Armor, a suit of Grecian armor that would look great on any Greek warrior. This armor is made up of a white chest-piece set with simple white straps that wrap over the shoulders, as much for protection as for support. They are decorated with impressively detailed buttons, while the abdomen features a band of brass scales that provide an additional level of protection, while minimizing the weight that a warrior would have to carry. The Greek Hoplite Armor is a hybrid of two different armor types, and the combination was used quite successfully throughout the history of Greece. 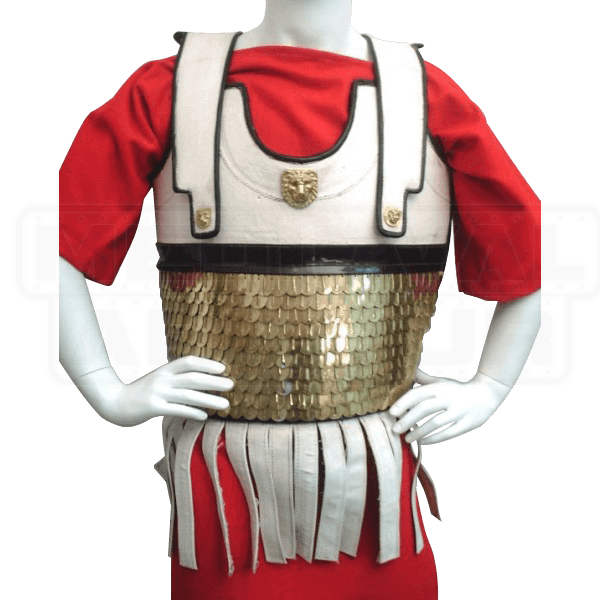 That makes this impressive suit of Brass Greek Hoplite Armor a great choice for any re-enactor to use, as well as a great collectors item or display piece for any history enthusiast to display in their home.